From a young age, Lion-O would always have hope and beliefs of technology, much to his father’s dismay. Claudus would not approve of his son’s behavior and personality, constantly trying to change him to be more like his favored older brother, Tygra. Sometimes Claudus would openly show his favoritism towards Tygra over Lion-O, but nevertheless he loved Lion-O and hoped one day he would be ready to become King. His relationship with Tygra was unsteady during their childhood, due to Tygra’s competitive streak and favoritism by the people of Thundera. Lion-O would often visit the slums of Thundera in secret, to obtain old artifacts of so called technology; he was often disgusted by the mistreatment of other animals living in the slums. 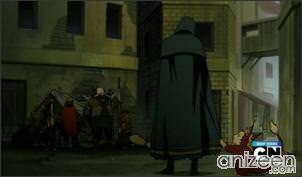 When some thugs were bullying a humanoid Dog and overheard Lion-O’s comments, they told him to pay up. 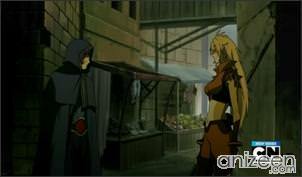 He refused and instead fought them until Cheetara arrived and ended the fight. She was wondering why a Prince was in the slums, and when the thugs found out he was the Prince, they scattered. After the return of Grune, who was sent to find the Book of Omens, but with no avail, alongside Panthro, now believed to be dead, a celebration was held in his honor as he brought back a gift for his people (a large stone ember carried by Lizard slaves. 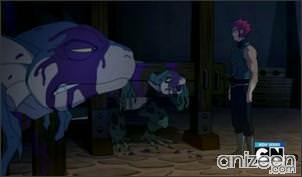 During the celebration, she alongside Tygra and Lion-O defended a pair of captured Lizards, now understanding Lion-O’s compassion and mercy for other species. 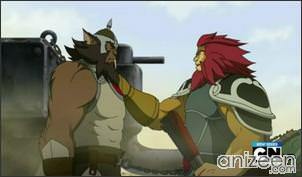 Then, Lion-O convinces his father to release them. Soon after, Thundera is attacked by Lizards, with vast amount of weapons and technology, much to the cat’s shock and horror. Later that dya, Grune reveals his treachery and his so called gift was a ‘Trojan’ horse that held half the Lizard army, wiping out the Thunderian army in the process while Panthro was being held hostage. 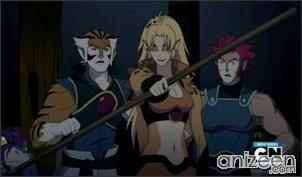 Cheetara and the Clerics, alongside Jaga, go into battle but are easily defeated by Mumm-Ra. 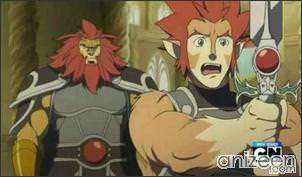 Lion-O is the son of King Claudus and brother of Tygra. He is a fearless leader who’s ready to jump into the fight, even when it gets him in trouble. He wields the mighty Sword of Omens, the most powerful weapon on Third Earth. Although cunning and skilled in combat, Lion-O can also be a bit of a hothead. He was the only one at the beginning to believe that technology and Mumm-Ra exists. 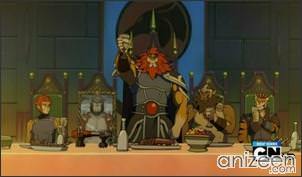 Lion-O will immediately step up to defend anyone in need, regardless of their species, proclaiming, “No one deserves to be treated like that”. 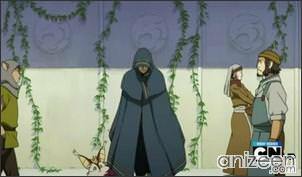 Tygra is the son of Javan, the sole surviving heir of the fallen Tiger Clan. He was adopted by the Thunderian royalty and became a prince; he’s the elder adoptive brother to Lion-O and adoptive son to King Claudus. Tygra has the ability to render himself invisible with his whip, likely some form of magic. 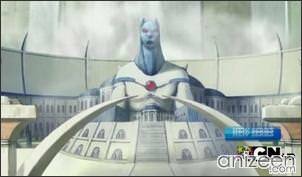 Panthro was a General in the kingdom of Thundera and great friends with King Claudus. First, Grune sais he has been defeated in battle. 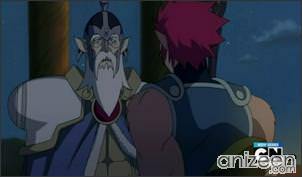 Later on Grune brings out Panthro as a bargaining chip for Claudus to surrender, but it’s all a trap. He’s a strong veteran with a hardened demeanor, with a no-nonsense attitude. He’s known in Thundera for his great loyalty to the crown, and to Claudus himself. 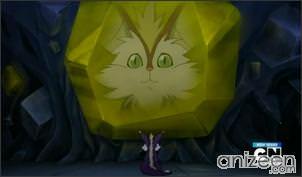 Cheetara is a cleric whose skills take advantage of her immense speed. She wields a staff, but is also adapted to fighting unarmed. She was an orphan as a child. It is unknown, where she lived at the time, but during her childhood she came to Thundera to join the Clerics. Jaga takes her under his teachings and trains her. Wilykit and WilliKat are twin brothers. Kit and Kat were born to a humble farmer and his wife, and became older siblings to a second pair of twins. It was from their father they learned of the the city of treasures, El-Dara, from his book. They ran away to Thundera, hoping to find information of their goal. Instead, they found only deaf ears to their pleas for spare change and food. ThunderCats is an American/Japanese animated series executive produced by Sam Register, and produced by Ethan Spaulding and Michael Jelenic and is a reboot of the original series by Tobin “Ted” Wolf. 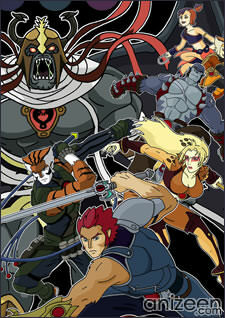 The anime studio Studio 4°C animated Thundercats in collaboration with Warner Bros. 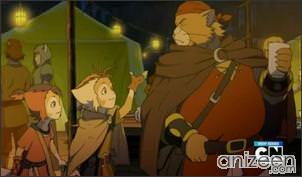 It start airing in the U.S. on July 29, 2011.